The long-tailed finch is a common species of estrildid finch found in Australia. It is also known as the Blackheart Finch, shaft-tail finch, Heck`s grassfinch, Heck`s grass finch, and Heck`s finch. It is a predominantly fawn-coloured bird with a pale grey head and prominent black bib and eyes. It inhabits dry savannah habitats in Australia and adapts readily to aviculture. The IUCN has classified the species as being of least concern. The species breeds in natural hollows. Pairs share feeding responsibilities, and there has been one report of birds from older broods helping their parents raise the following brood. 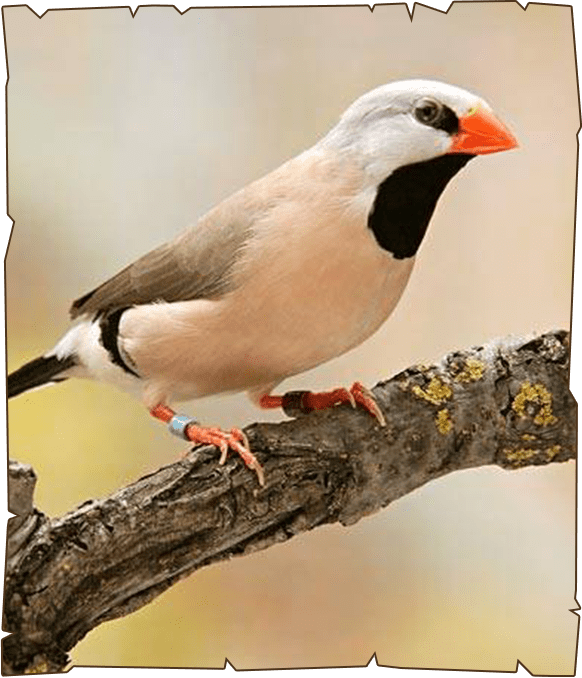 The long-tailed finch adapts readily to captivity, although it requires an aviary rather than a cage to thrive, and damp conditions need to be avoided.